Dr. Adrian Rocha is an Ecosystem Ecologist in Notre Dame's Department of Biological Sciences. He is interested in the biological and environmental controls on ecosystem exchanges of mass and energy at various temporal and spatial scales. His work utilizes a variety of tools including eddy covariance, remote sensing, and ground-based measures of ecosystem physiology to address these topics. Past work has focused on a variety of topics including the influence of clouds on CO2 and water exchange in a northern hardwood forest in Michigan, the physiology of tree growth in an old black spruce forest in Manitoba, Canada, and the environmental and biological controls on energy and mass exchanges in a freshwater marsh in Southern California. 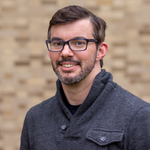 Dr. Rocha's current work focuses on characterizing the effects of wildfire on climate forcing and vegetation recovery on the north slope of Alaska, an area of rapid environmental change.